Mobile auditing for environmental, health and safety and quality issues is only growing in popularity. Working with organizations in a variety of industries – from food manufacturing to oil and gas – we have a learned a great deal about what works and what doesn’t with mobile auditing. In the presentation below Nimonik’s CEO, Jonathan Brun, highlights some of the issues facing EHS and quality auditors who wish to adopt mobile technology. We discuss how mobile auditing technology can reduce corruption in supply chains and corruption when auditing in a fully automated. The presentation covers key elements such as pricing, testing, communication, benefits and some of the gaps that still exist with mobile auditing tech. The presentation also addresses some of the major items you should address when transferring auditor knowledge from an older generation of professionals to a newer one. This presentation was delivered at the National Auditing Roundtable Conference in 2016 in Tempe, Arizona as well as at the BLR Safety Summit 2016 in Austin, TX. You can learn more about mobile EHS auditing, in this free presentation and slides. For more information on this presentation, on mobile technology or on other issues, simply reach out to us at info@nimonik.com. Nimonik Expert EHS Webinar Series: Lessons Learned in Mobile EHS Auditing from Jonathan Brun on Vimeo. Hi, everyone. Welcome to Nimonik EHS Webinar Series. Today’s webinar will be on the Lessons Learned in Mobile EHS Auditing. So I’ll just give everyone a quick minute to settle in before we begin. Okay. So let’s get started. Today’s webinar is going to be on how technology can improve efficiency during an audit. And this will be explained through lessons learned at L’Oréal, FedEx and Grupo Bimbo. But before we begin I’d like to briefly introduce Nimonik as a company, my role here and of course our presenter for today. So Nimonik is a software service that provides EHS managers with the tools necessary to ensure environmental, health, safety and quality compliance in their operations. 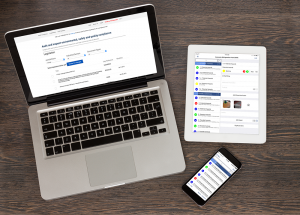 Nimonik is both a web service and an app that is designed to help auditors inspect their facilities for compliance issues, as well as stay on top of legal updates and maintain a legal register. So my name is Kim Chanel Vallée-Séguin and I am the Communications Manager here at Nimonik. I will be facilitating today’s webinar. So please feel free to ask questions throughout the presentation in the Go to webinar question box and we will gladly address as many as we can at the end of the presentation. So now to present this topic for us today we have Jonathan Brun who is the CEO of Nimonik, responsible for technological decisions, the design and client relations. I’m happy to say that we have attendees from all over the world joining us today. So thank you all for participating. Without further ado, here’s Jonathan on the Lessons Learned in Mobile EHS Auditing. Good morning, everyone or good afternoon, depending on where you are. This is Jonathan, I’m here with Kim and thank you so much for taking some time out of your day to join us today. And what I’d like to do with everyone today is to give you a bit of a tour of some of the lessons we’ve learned working with different organisations in different industries to help them audit and inspect their facilities more efficiently, but also in a better way. It’s not just about doing the same thing faster, it’s about improving your auditing process and leveraging technology to help you do that. So that’s the core of the discussion today and I want this to be as interactive and as useful as possible for everyone. So throughout the presentation, we’re going to have a few polls, we’re going to ask you some questions about who you are and your responsibilities within your organisations. And any time if you have a question please add your question as Kim mentioned into the question panel in the Go to webinar system and we’ll try and address as many questions as possible at the end of the presentation. My presentation should be half an hour, sometimes a little bit more, a little bit less. And then we’ll have plenty of time for questions afterwards. So let me get started by saying the first and potentially most important thing which is what you are doing is very important. Nobody gets awards for helping companies avoid disasters. We only hear about companies that do have disasters. But being an auditor and inspecting and auditing at your organisation and keeping your workplace safe, keeping your products aligned with the industry standards and keeping the environment clean are all extremely important things that go unrecognised in many organisations and in society in general. So I want to start this off by just saying: if you’re an auditor, if you’re an inspector, if you’re a compliance manager at your organisation what you’re doing is really important. And we believe at Nimonik that auditing and inspection should be done more often, it should be really embedded into the workings of the organisation, to make sure that as many problems as possible are avoided before they ever become problems. We believe at Nimonik the technology can help us get us there. Technology is a tool, it helps us do certain things faster and better. But of course, it’s not everything. Ultimately a great auditor is a person who has years of experience, who’s been trained and who cares about what they do. So what we’re here to do is not replace auditors with technology, but give you tools to do your work, your important work more efficiently. Let’s just launch the first poll here and get a bit of feedback. So the first poll is: what type of auditor are you? So Kim is just going to launch this and feel free to respond. We’re curious to know who’s on the call in terms of the types of auditors we have both internal, so if you do internal audits at your own facility, external, are you a consultant or someone who’s doing external audits, internal second party audits, if you go out and audit other facilities, other plants within the same organizations and then we put other which I’ll assume is something that we don’t know about yet. But if anyone has some sort of interesting audit position they’d like to share with the rest of the attendees, please drop it into the question section and we’ll mention that. All right. Great. So I still see a few votes coming in. We’ll let this just settle down. All right. Great. So just to keep this presentation moving, it looks like we have about two-thirds of the group, 67% are internal audits, 42% are external and then 30% are internal second party audits. So obviously those numbers don’t add up. So what it means is some people have multiple hats, that they’re certainly both internal and second party auditors and then extra auditors can sometimes do some internal audits as well. So a great mix of auditors, auditing profiles today and hopefully we can address some of your challenges today. So I want to just start off by talking about two ways that we’ve seen audit results be influenced. And these two ways were the extremes, the polar extremes of the auditing world. The first one is corruption, just plain corruption of auditors getting paid off by suppliers, by people that they’re auditing really. And I used to work in China and I worked with a number of companies that did quality inspections as well as human rights environmental and safety inspections at suppliers in Asia in general that were being hired by different companies and the amount of corruption that’s happening there was quite substantial. And that was, you know, traditional human to human corruption where you had the supplier who has an interest in a good audit result giving some money to the auditor that’s coming in and trying to change the audit results. So that’s one extreme. The complete another extreme of…the complete another extreme…so I’m trying to change the slide. Okay, here we go. So the complete another extreme of the auditing corruption world is where technology was used to corrupt technology. So we’re all probably familiar with the Volkswagen diesel scandal. And just as a refresher, what the scandal was was Volkswagen had changed the software in the cars, so that when the car was being inspected by another piece of software, the EPA had a piece of software that was testing the cars for their emissions, when the car was being inspected by this other piece of software it changed the way it was combusting the diesel to pass the requirements. So there you had a case where they tried to fully automate the testing process and by fully automating it, they actually came across corruption. So as I mentioned earlier the solution that we believe in at Nimonik is not to replace humans with technology completely, which is a bit what happened at the diesel situation, nor is it to have something that has no technology involved, which is the case in some of the auditing out in the supplier world, where there’s some corruption, but it’s real to find a balance between the two. Great auditors have great technology. Some of the first lessons we’ve learned working with others around the world are first and foremost mobile is challenging. Anybody who says that they’ve fully made all of their audits mobile-friendly I would be keen to speak with them. It still remains a challenge. And part of that challenge is redundancy and reliability. Pen and paper which is the traditional way of doing an audit and we did a poll on LinkedIn a few months ago and it showed that 70% of auditors are still using pen and paper to do audits. But Pen and paper is a very redundant and very reliable medium. If you have a piece of paper, you can write on it, it’s pretty bulletproof. If ever that piece of paper doesn’t work, you can go get another piece of paper and another pen. So it’s a very reliable technology. It might be simple, it might not have a tremendous amount of flexibility, but it is very reliable. And making a mobile that reliable and that redundant is part of the challenge. So we work with clients in the mining industry, in the food and beverage industry and lots of different industries where they might be in a human environment, it might be in a dark environment, they might not have internet connection and making the mobile technology extremely robust so that you never lose any data and you can always rely on the technology is one of the key challenges. We’ve made a lot of progress, but there’s certainly still some ways we can improve, the redundancy and the reliability. One of the key points I want to get across today is that digital and paper are not the same things and we tend to think of an analogy. And what I mean here is that people often say well, I have this paper process that I’m doing to do my audits or my inspections and all I really want to do is take that paper process and put it on a tablet. But that’s really the wrong way to think about it because a computer or a tablet has shown many more capabilities, it has shown much more flexibility than pen and paper. Simply transferring your audit process to the digital world should be more than simply a copy-paste. It should be about rethinking the way you do your audits, rethinking the audit schedules, the audit frequencies, the follow-ups you do after audits. Digital really requires a different way of thinking. It’s not simply not use pen and paper and put it online. And to illustrate this point, I want to discuss the difference between amazon.com, the website where you can purchase almost anything and a traditional retail space. Because sometimes we say well, Amazon, is an online store. It’s like a Wal-Mart online. And in reality, it’s actually quite different because the underlying constraints of retail, traditional retail space and the underlying constraints of a web-based store are completely different. So first and foremost, in a retail space you’re of course constrained by the floor space that you have, whether you’re renting a space or you own a building, you can only stock so much inventory and have so many products because you’re limited by the physical space you’re paying for. Whereas with Amazon, they have warehouses in non-expensive locations and they basically can create an infinite list of products. If you go on Amazon, you can find almost anything that exists out there. So there’s this break away from that physical restriction. Retail space does have sales people on the floor to help customers explain how the products work etc. whereas Amazon has replaced those retail sales people with smart recommendations. So if you bought this product, you’ll like this product. Of course, there’s a huge cost saving there, but it’s also a different way of interacting with the company. A retail space often measures the popularity of a product by its sales, by its returns and profits that it makes on that product. Amazon, of course, does that as well. But what it adds on to that, which is something that’s really not possible in the physical world, is feedback from users on the quality of products. So I know that when I go to Amazon, one of the key things I look at when I’m thinking of buying something are the reviews on it. And those reviews are left by people, they volunteer their time and their energy to write those reviews. I mean that’s something that takes the shopping experience a whole new level. So if we take that and think of audits, try and think we’re okay, what can we do with the audits that will take the auditing to a whole another level when this is on the digital platforms. Another restriction on the retail space is cars and parking and getting out of the house. If I want to go buy something at Wal-Mart or somewhere else I need to get dressed, I need to get out of the house, I need to drive there, I need to park there, it’s a lot of work, it’s a big endeavour. Whereas with Amazon, I can sit in my underwear at home and order whatever I like. So there’s a huge gain there. And that’s of course only possible with the digital solution. No retail space can overcome that barrier. And then, of course, Amazon has very low cost, low overhead because of the nature of this business. So what I’m trying to illustrate here is that retail and taking a retail business and turning it into a web business is not simply about just taking your products and putting them on an online store, it’s about rethinking the limitations and possibilities you have once you’re in a technology space. So how do auditors do it now? If we come back to the auditing world and away from the retail space… As I mentioned earlier, we did a poll on LinkedIn: 70% of auditors still seem to use pen and paper, that is trending downwards. We did the same poll a couple of years ago and I think it was around 75%. So it is going downwards and we expect that to accelerate. Also, most companies seem to still use their own list of audit requirements. So as opposed to going out and purchasing EHS regulatory compliance audit protocols or purchasing quality standards audit protocol, a lot of companies build their own. And that is totally normal. But we also see that changing over time and we’ll discuss in more and more detail. My last point here is that a lot of auditors from what we’ve seen use their memory to inspect and verify. We’ve spoken to many experienced auditors who have been doing this for 20 years, so when they’re walking around a facility they have a pretty big sense of what to look for. But doing it by memory has a lot of risks involved. Even if you have 20 years of experience, we highly recommend having a sort of a checklist, just as a reminder of everything you should be looking at. And we can talk about that in more detail. But that’s how auditors seem to be doing their audits now in general. And I want to next talk about the adoption curve. But before I get here, I’m going to launch just one more poll, which is: what tools do you use? And so I mentioned just a couple of minutes ago that most auditors are using pen and paper and a lot of others just use their memory to do their inspections. But we’re curious to see if that LinkedIn poll corresponds to the audience we have today. So I’m keen to see the statistics here and let people answer this. And while you’re answering, I’m just going to start introducing this slide here. What this slide is it’s a very famous curve for the adoption of new technology. It’s not specific to auditing, it’s everything from mobile telephones, to the Internet, to other things. And what they’ve done is they’ve broken out the population into these different groups. So innovators, early adopters, early majority, late majority and laggards. So the innovators are the folks that really love the new technology, they run out and buy it as soon as it’s available, in the first version that’s full of bugs. The early adopters are the ones who are going to have it after them, keen to get the new technology, but don’t necessarily want to be on the bleeding edge and then the early majority and then the late majority, and then laggards, the people who still have rotary telephones at home today in 2016. They exist, there’s less and less of course, but those will be the laggards. Great. So let’s try and close this poll. And so I just want to confirm a little. I’d say it confirms more or less what we saw in LinkedIn: 77% of people are using pen and paper, 67% Excel and Word. Of course, the numbers here, you can choose multiple answers. A lot of folks are probably using pen and paper and Excel and Word. Some use an in-house software: 17%. 13% have an out of the box software and 33% are using a mobile software. That’s interesting, that’s definitely higher than what we’ve seen in the past. So in terms of the adoption of mobile technology in the auditing space, I would say that we’re around here, we’re at the end of the early adopters starting to get into the early majority and we see here in the poll that 33% of folks are on mobile software. So that’s we’re just getting close to that early majority. And I think over the next five years we’re going to see the vast majority of companies start to put our mobile auditing technology and ensure that they stay competitive with their competition. So what do people love about mobile auditing? And we also have a slide on what people don’t love. So this is for those who are already using mobile technology, you might be familiar with this straight report. So not having to take your pen and paper notes and retype them and put them into a Word template, but rather being the click on a button and getting a report right away. One of our clients who manage a series of nursing homes, so they have I believe 15 nursing homes, they claim that they reduced their report writing time by about 80%. So let’s say they were spending four hours writing a report after doing an audit. They’ve taken that down literally to about half an hour. So you still issue the report and then you’re going to tweak it and customise it a little bit. But a lot of the administrative copy-paste formatting work, all that’s done automatically. So that’s one of the huge benefits of mobile auditing. And whether it’s with our solution or somebody else’s, that benefit is really important. A capture of evidence. So photos, video, audio. Capturing that evidence and having it in the reports so that you can go back to in the future is really key. I know we were speaking with one of our clients, Grupo Bimbo, who is the largest bread manufacturer in the world. It’s a Mexican company and we work with one of their facilities that produce 7 million loaves of bread a week. When they told me that I thought that was just unbelievable: 7 million loaves of bread a week. And what they said was by deploying the mobile technology in their workplace, one of the big benefits they saw was an improved communication between the maintenance teams and the auditors. So when they were traditionally doing audits and this was more food safety audits, so they would inspect their lines for things like broken glass and problems with the machines and they would write down, you know, that a certain roller on this conveyor belt needs to be changed or needs to be improved etc. and they sent it off to the maintenance. You know, the maintenance didn’t even come back with questions. Oh, really? You know, that roller or maybe it’s other. So there was a lot of confusion and a lot of back and forth when they were using more text based communication or even on the phone. But the ability to send a photo and circle on that photo, hey, this is the specific spot where we see a problem, saves a lot of that back and forth. So there’s a lot of that communication between the maintenance crews and the auditors. That’s been a huge benefit for them, at Grupo Bimbo. It’s also been a huge benefit to other companies. So if you have to make the business case internally to your supervisors or to your colleagues, I would say improved communication between teams is a critical factor. The time stamp on data. So in our auditing system and I know this is similar to some other platforms, you can get a time stamp and a date stamp and a person who answered each individual question and who completed the audit. And this is a funny story. We saw this in an oil and gas company. They have a series of wells that are dispersed over a certain territory, as you imagine an oil and gas company and it’s up in Alberta in Canada. For those of you that don’t know, it gets really cold up in Alberta. So what these guys were doing, they were sent there to inspect the oil wells. But what they were doing is they were sitting in their trucks, their pickup trucks with the heat on of course, and they were just ticking all the boxes on their audit checklist, saying yes, the well is in good shape, you know, I inspected it, everything looks good, the fence is there etc. But they weren’t after looking the well. So the audit, of course, is not really valid. But how do you prove that in a pen and paper world? It’s extremely challenging. But with a mobile solution, since we have a GPS or a time stamp, a date stamp and a person, you can say well, that person was actually standing 500 meters away from the oil well when he answered the question. Therefore there might be a problem, I should do some follow-up with them, not saying he absolutely wasn’t at the oil well, but the way he answered that looks a little bit suspicious. So that’s kind of a way of fighting some of that corruption, so I mean with the supplier audits in Asia or in other places, date stamps, time stamps, GPS locations help fight against folks who might be trying to around the edges a little bit. All right. In terms of devices. This is a question we get a lot is…What’s the best device to buy for my organisation? And what we’ve seen to be really popular are either the big phones or think of the iPhone success or some of the big Android phones and then small tablets. So the iPad Mini is a great form factor, the Nexus tablet as well. They’re not too big and you have enough screen real estate to be able to move around the data and play with it. So those are our recommendations. And then the last feature I want to mention here that: if you ever have to make a business case, your colleagues is the ability to dictate notes. So you may not be using this on your phones, but you can instead of typing, you can simply speak and then it converts it to text, so that can be a huge time saver. You do need to be in a quiet environment. We’ve had some of our clients say hey, I’d love to use this, but I work in a noisy factory. Yeah. Unfortunately, that’s a bit of a challenge. But if you are able to dictate some notes in a relatively quiet environment, it can be a huge time saver. So that’s what they like. Now I do want to speak about what they dislike because there are some things they dislike and I don’t want to deny that that’s the case. One of the things they really dislike is rigidity to audit item order. So what I’m trying to say here is that in our tool and in most tools audit items are placed in a certain order. You have certain series of questions and you can categorise them and organise them, but ultimately they’re in a certain order. And as I’ve mentioned earlier, a lot of great auditors, auditors that have been around the block more than a few times, they don’t necessarily go in a specific order. When you’re building your audit checklist, my tip would be to really think carefully about the order that you’re putting questions in and the keywords that you’re putting in your questions. So think about how will you want to find this information when you’re doing an audit on the top floor or at the facility or at the project. Same thing. So rigidity to audit item terminology. If you’re going to be searching for things through two words, make sure that you implement keywords that are going to be useful not just for yourself during the audit but for colleagues. So if you’re a lead auditor and you work with another team or if you’re just a person and you audit other people across your organisation, make sure that you have the right keywords and potentially a little bit of redundancy. So if you have to call, if you have to use the same different terms for the same thing in your audit item that could potentially be useful in terms of finding it quickly through a search. So you might call the same object to different things or the same problem to different things that they can find it through their search. The other frustration that we’ve definitely heard over the years is Pre-built audit report formatting. So almost every auditor has a format of the audit report that they like to deliver to their colleagues or to their clients, something that they’ve built up over the years. And any mobile solution whether it’s ours or another’s, you’re going to have some rigidity around as you kind of need to use our format. There’s some customization, you can export in Word and modify it, but kind of adapting your format to a format of an out of the box solution can be a bit painful. Once it’s done, usually you get used to it and then the world continues to spin. But at the beginning that can be a bit frustrating. And then lastly the need to adopt a structure that’s not their own. When I say I see no structure here, I was speaking a little bit about auditing workflow, auditing follow-up and using any out of the box solution you’re inevitably going to have to change a little bit the workflow and the way you view your auditors. We had a pharmaceutical company from California come to us. This was probably about a year ago. Big company. We were very excited to speak with them and they showed us their audit workflow and it was definitely the most complicated audit workflow I had seen so far in the industry. They had a series of pre-approvals of the audit protocol that had to be authorised by different managers, different supervisors. It was then sent to the plant, those questions. So they had this very complex workflow that they had certainly built over the period of 15, 20, 30 years of auditing their facilities around the world. And they said “well, can we do this on mobile and can we use your platform? And we looked at it and kind of said no.” I mean the process was so complicated that turning it into a mobile or a web-based solution would require a custom-built solution for them. And that was going to cost a lot of money. It was going to cost at least half a million dollars. It was our estimate to have this complicated process in a custom-built solution. So adopting yours, your way of auditing, your workflow to an interesting tool is not always easy, but my tip is that I believe it’s more important to do more frequent and more robust audits at your facilities than it is to have a very complicated workflow. But that’s, of course, a long discussion. Our tip is more audits and inspections are usually a better outcome for the overall organisation if those audits and inspections are done efficiently. So there’s some key technology that’s still missing. And the other thing is we’re working on them and no other companies are working on them as well. But they really are merge and de-merge audit protocols. So if you’re going to an audit in Pennsylvania this week and then you’re going to an audit in Atlanta and if you’re doing an audit in Canada or France but with a different audit protocol, so the ability to pull questions from multiple databases and integrate them seamlessly together is something that we’re working on, we’ve made some progress, but it’s certainly one of the challenges. The ability to rapidly add and remove requirements. So if you want to go to a new facility and this facility doesn’t have any oil storage, we will remove all those questions really quickly. So there’s some logic that’s built into our audit protocols, but we want to build a way more logic into it so that you can find the audit requirements that are applicable to a specific facility faster. And then rapidly search and identify requirements. So if you want, if you’re not sure maybe you’re auditing a new facility or a new location, you’re not sure what some of their requirements might be, the ability to pull those up really quickly by using keywords and by having them properly organized is something that we’re still working to improve. There’s some progress that has been made there, but I won’t deny that some of these things are things that we need to improve on and we’re working on that with our clients and incorporating their feedback. So ultimately, this means still too much manual work. All right. Well, that’s another slide. I want to just pause here and ask another poll. So what we’re going to ask is: What type of audits do you do? And I’m curious to just see a little bit the attendees and the types of audits that you’re doing. So they’re environmental, safety, quality, financial or other types of audits that we’re not familiar with? All right. The results are coming quickly. Okay. Great. So we’ve got…almost everybody has already responded. We have environmental audits are 80%. They’re surprising. I was expecting safety audits to be a little bit more. But environmental audits…safety audits: 76%, quality audits were 24% and then other above 11%. So I’m not sure if other includes management systems or something else. If you have some interesting audits that you think the attendees would be curious to hear about…I’d be curious to hear about, please drop those types of audits into the question tab and Kim here will prompt me to look at those. Great. So a lot of environmental auditors and Nimonik actually started in the environmental world and we do safety and quality now. But we really started with environmental and we still do a lot of that work. Okay. So this slide here, what I want to try and do in the next couple of minutes is discuss a little bit how you can adopt mobile technology in your organisation. And some of the key things that we want you to be aware of as you’re adopting mobile pack. So there are two extremes here. There’s the out of the box solution, which is buying a piece of software maybe like ours or some other piece of software, you buy a piece of software, you install it and you start to get it operating. The other extreme is a tailor-made solution or a customised solution. I’ve mentioned that for the pharmaceutical company and that’s…you know, I actually got an e-mail this morning from someone in Australia who said yeah, your product works great, it’s really interesting, but you know, we need to build a customised one. And I e-mailed him back and I said yeah, that’s great, yeah, no problem. But my tip is to think twice about that because it can be a very costly exercise and I’ve had more than a few companies come to us after having spent a lot of money, a lot of time building a custom solution in-house. So, of course, an out of the box solution, the reason you don’t adopt it is that it forces you to change the way you’re doing audits. But our tailor-made solution also can be a bit of a challenge. So what we’ve seen is out of the box solutions are often very popular with new auditors because they just haven’t been around the block that many times, they’re not really sure exactly how to do their audit, so having a pre-built tool is super useful and at the other extreme a tailor-made solution is often something that’s desired by expert auditors who’ve been doing this for 20-30 years, they have their method, they have their way of doing it and they just want to put that in the digital world. And our recommendation, this may not surprise you, is to try and find a happy medium, to try and find something between the two, an out of the box solution that allows you to have a structure and efficiency but then you incorporate some of the knowledge from those experts into the solution you’re going to use. So key things here and I’ll try to emphasize this quickly, but I think this is key whenever you’re looking to adopt a solution is it’s all about transferring knowledge. As auditors start to retire, the first generation of EHS auditors are starting to retire in the next few years. Transferring knowledge from those experts to the new generation of auditors, inspectors, managers is super critical. And to do that you need to document, document, document. So it can be laborious, but documenting why you do audits in a certain way, documenting what you’ve learned over the years. You know, I was speaking here to older more experienced folks on a call, but documenting…Why did you do it this way? What else did you try over the years that maybe didn’t work or didn’t produce the results you liked? So you can learn as much from mistakes and errors as you can from successes. So we definitely recommend the auditors that are implementing solutions here…if you’re in a team, bring together new auditors, bring together old auditors and try and transfer as much information as possible. And ultimately, let the new auditors lead the initiative. And that can be a bit of challenging because the old folks often are of course a little bit more senior, a little more experienced, but having the new auditors lead the solution is critical because ultimately they’re the ones who are going to be using the technology going forward. So you want them to be involved in the decision making process and in the testing of the solution. We definitely recommend you to test those solutions, whatever you’re looking at acquiring or buying or building. And then to make sure that whatever system you’re using, think about not just the purchase price at the beginning of the project, that’s often what people really look at as they say “how much is it going to cost me” What you want to look at is the cost to your organization over time and the cost over time is primarily linked to maintenance. So if you’re building your in-house solution, don’t think that as soon as you’ve built it, you’re not going to need to do anything in the next few years. You’re going to have to do maintenance, you’re going to have to do updates, you’re going to have to change it. And the tablets, the phones, everything is changing at a faster and faster pace. So think about the maintenance of a system and whether or not it makes sense to build something in-house or out of house. Same thing for contents. If you blend audit protocols, checklists, things like that, if there are some regulatory requirements that are changing on a frequent basis, you can try to do it yourself, but that can be very costly. So consider adopting a more standard approach to content management. And we saw this at the City of Edmonton. So it’s another case study that I just find fascinating. The City of Edmonton which is a city in Alberta in Canada…they have operations across the city of course: water treatment facilities, they have energy distribution, they have parks, recreation, they have the zoo etc. they have a lot of things going on, a lot of different types of operations within the city. And they had to hire a consulting firm to build them customised audit protocols. And they did a great job. The audit protocols are very robust, very comprehensive. They were, you know, 200-300 pages long and they were tailor-made for the organisations and for the facilities. Now the problem, of course, arose four or five years later when they said to themselves oh Jeez, these audit protocols haven’t really been updated in four or five years. Laws, regulations, codes have changed. We have 9 documents of 300 pages in Word. How are we possibly going to update this? And went back to the consulting company and they got a proposal for a lot of money to update that. And then they say “we’re going to do this every four-five years.” So what we did with the city of Edmonton is we took those documents, we changed the structure, put into our database, linked up those regulations and standards to the actual regulations and updated them in a semi-automated way because our system allows us to know when a regulation was changed and so on. And then going forward, they have these audit protocols on their mobile devices and they’re being updated in an automated way. So for regulations or requirement changes they get notified, they see the new version and then they can go out and do their audits and then they don’t need to spend this large amount of money every four or five years. It’s a more low-cost system because you’re doing a little bit of maintenance to your content every year. It’s much more affordable than doing one big upgrade in five years. So if you have in-house audit protocols definitely consider doing some sort of solution like that. It doesn’t have to be with us. Anybody who has a similar system. So there is a ton…but anybody else with a similar system, I think it’s worth the investment. So that’s a little bit what we’ve seen in the industry and some of the experiences we’ve had with companies like the city of Edmonton, Grupo Bimbo, the nursing care facilities, pharmaceuticals, so a lot of different industries. And I just want to finish the presentation talking about: What’s next? What do we see coming down the road in the next five, ten, twenty years in the auditing world? I’m really excited about this. We’re working really hard to make this a reality. And one thing is going to be Auto-Filters based on Operations. That’s pretty straightforward and we’re getting very close there, where you can just plug in quickly. This operation is a food and beverage company in Ohio and it produces bread and it does this, and then have the audit protocols filter and customised for that location. So that’s one thing we’re working on. Smart Suggestions. This came to us from a constructing company. They said well, you know what? Sometimes I get down in an excavation pit at a project we’re working on and I see a problem with a forklift or I see a problem with the personnel’s personal protective equipment. But what I want to know is I want to know what else should I be looking for when I’m sitting or standing down in an excavation pit and I’ve seen this problem. What are the other things that might be related to this problem? And having that intelligence built into the audit protocols is something we’re starting to work on and we’re very excited about. Think about like Amazon. If you buy this product, you’ll like this product. When this case is if you found this audit finding, you might find this audit finding as you go double check. And then for more external auditors and for consultants out there, I think a big thing that we’re going to see in the next few years is consulting companies adopting platforms, allowing them to have constant contact with their clients. So not just issuing a report at the end of your consulting mandate, but rather issuing a report, issuing corrective actions, recommendations potentially and then having a back and forth with your client over time and then they might need another audit in two or three years, but in the between the zero and the three years, having that communication, answering some of their questions and having more of a long term relationship with their clients, technology allows you to do that much more efficiently and lots of project management tools, of course, are used in different industries, in different fields and we think in auditing we’ll see a trend towards that over time. And then ultimately, Artificial Intelligence. You might have seen some news articles and things about artificial intelligence. A lot of work is being done there. And I put this ominous photo here about an auditor robot, but we do think that intertwining artificial intelligence into auditing, having that recommendation of which audit findings you should be looking for depending on the facility, depending on what you’ve already found, depending on the history of the organisation. Building that intelligence into the audit protocols, into the software, that’s where we think things are going to go over the next five years. And this is a photo of Garry Kasparov, who was a chess grandmaster. He was the first chess grandmaster beaten by a computer back in 1987. And ultimately, what we’re trying to say here is leverage computers to what they’re good at. So computers are great at storing large amounts of information and analysing them. Make sure you leverage whatever mobile auditing tool you decide to go with, that you leverage it for those specific things. Ensure interface is user-friendly. There’s lots of auditing stuff out there that have horrible interfaces. There’s some that are good. So make sure you test it and you’re happy with the interface. And then the last point is. Auditors need to make a judgment call. So in the chess world what they found to be the most potent and the most powerful combination is a good chess player with a great chess software. And that was actually better than a great chess player with a great chess software. Because the great chess player will say no, I won’t agree with the way the software said, I don’t want to do it this way. The good chess player who wasn’t a grandmaster was able to see that the software sometimes had better recommendations than that person did. And then he’d leveraged that. So we think that auditing is on the same similar space. You’re going to have the best combination going forward, it’s going to be a good auditor, well-trained, experienced, with a great piece of software. And that combination, if you have that great software and that good auditor, will improve the performance of organisations going forward and that’s really what we’re working really hard on here at Nimonik. And we’d be keen to help any of you go through that process, discuss it etc.. So again just to conclude here. Ten years out – lessons that we think should be important for everyone to communicate inside of organisations. Efficiency always wins, no matter the industry, no matter the technology. Ultimately, the organisations that are the most efficient when and of course we are in a very competitive environment, whether you’re an external auditor or an internal auditor, we all are in a competitive environment, so efficiency always wins. We believe that companies that successfully integrated mobile technology will be more competitive over the next few years. We also think that for external consultants at least moving away from the billable hour is going to be a trend. 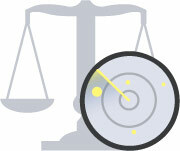 We see this in the legal lawyer world already, billing by mandate as opposed to by hour. It’s already starting to happen but it’s going to accelerate and therefore the companies that implement effective tools to do their audits will have a competitive advantage. And my last point of the day here is never under estimate technology. It’s just so many companies that have underestimated technology and its impact and have gone , great companies like Kodak and Polaroid, at least in the photography business. They just underestimated the impact of digital cameras and we saw the results. So never underestimate technology. It’s here to stay and it’s only changing faster and faster. We even find it’s a crazy pace and we’re in the thick of it. So that’s my presentation. I have one last question that we’re curious to know and we’ll put this poll up. The question is: How soon would you like to audit on mobile devices? And for those of you that are already doing it, of course…right now. That’s it. And then, so we’re just curious to see what the results are like, and of course, we didn’t put a poll about budgets, what you expect to pay for a mobile solution. But that would be an interesting poll as well. I’m not sure if we have time to set up that poll, but if not we’re curious to know…don’t underestimate the cost of putting in place a good solution. It’s like any product. If you want a good solution, be expected to pay a little bit for it. Free solutions really don’t work in the long term. But that’s maybe a separate discussion. So the poll for when would you like to implement mobile solutions: 22% right now. So right after this call, you’re going to do it. 19% this summer, 40% for the end of the year 2016 and then 22% next year. It is good to see that nobody said never. So that means at least I was somewhat convincing with the benefits of mobile technology. But when anyone’s going to need help on implementing or making business case internally for their organisations, of course, we’re here to help, Kim, I and our team will be thrilled to discuss your specific business requirements when you have time. Kim, do you have any questions in the…? Kim: Yes. Just a second, Jonathan. So thank you first of all for that incredibly informative session on Mobile EHS Auditing. So attendees, please drop down any last minute questions you may have and then I’ll proceed to share these with Jonathan. But before I do, I just wanted to quickly point out that Nimonik would love to be part of your efforts to improve your regulatory compliance, so please feel free to give us a call or send us an email for more info. And with that in mind, we’ll tackle a few questions. So I know you’ve touched upon it earlier but we have a question here. Which device is that you recommend for mobile auditing? Jonathan: Yeah, we addressed that briefly in the previous slides but I think that one mistake I’ve seen made at certain organisations is they want to buy a low-cost device. So they say well, the iPad Mini costs $225 or whatever it costs. And we get an Android tablet from some company for $99 or you can get the Amazon Fire and maybe I shouldn’t use names, specific names here, but my point here is: Don’t think too much about the cost of the device. Again that’s a point like the initial cost is really only part of the overall cost of this initiative. You’re going to need a long term maintenance of the device. [45:25] going to break down and you have to replace in two years. So when you’re looking at the device, think about the long term cost of it, the quality of the device. Is it getting updated by the company and is it robust for the work environment you’re in? If you’re in a humid or dirty work place, make sure you have a device that’s properly protected with a case, but you know, the large phones, the small tablets definitely will be seen to be the most successful. But don’t skimp on buying a cheap device. You’ll only regret it. And if IT says well, that’s what we’ve got to do, figure out a way to make the business case over the next five years. That’s why I’m a big believer in buying high-quality devices in general. Kim: Okay. Thanks, Jonathan. We have another question here. Do you have any tips for how consulting can use mobile software given that every client has its own audit protocol and report format? Jonathan: Yeah, that’s definitely a challenge for external audit versus when a client wants to impose their audit protocol in their format on you. How do you use mobile tech? I see it a bit of a balancing act. I mean, some clients are open to tweaking their audit report format, some clients really aren’t. The other way you can pitch it to them, you can say “listen, I can do it in your format, with your audit protocol for this amount of money, or I can use a standard format, a standard audit protocol that I have developed or that you’ve built over time and do it at this price. And I don’t know what the price difference might be, but let’s say it’s 10% cheaper. A lot of companies are so cost sensitive these days because of the margins that could be a business case. You say we’ll do in your format for, you know, $5000 for this audit or do it in our format for $4400 or whatever the prices are.” And that can be a winning case. The other option is to take their audit protocol and put it on a mobile platform. So I know our platform allows you to take an audit protocol, convert into Excel and then load it up and it works for the vast majority of audit protocols. And then the report that comes out at the end of the day is a Word report that you can modify in Microsoft Word. So those I’d say are the two things, but again it’s going to vary from client to client but money talks, that’s for sure. And some clients will, I think, be convinced by the efficiency gains and especially if you’re going to go do more audits at other facilities for the same company or if you expect to go back and do other audits, if you have those efficiency gains over multiple audits that are where you can really convince the client to change their way of doing things. But it’s definitely a case by case basis. But you know, if you’re ever unsure that an audit protocol can be converted for Mobile, just send us an e-mail and we’ll be happy to take a look at the audit protocol completely confidential of course and give you our feedback as to whether or not it can be converted to mobile easily on our platform or on someone else’s platform. We really don’t mind taking a look at it and giving you some feedback. Kim: We have another question here that I’m sure a lot of people are wondering about. So is your software compatible with Microsoft Surface? Jonathan: Yeah, that’s a good question. Right now our software is not on Microsoft Surface. We have a web-based auditing tool that works on Microsoft Surface and it adapts to the size of the device. But you need an internet connection. The software that we offer right now is really just for iPad, iPhone and Android that works offline. Functionally, it’s the same thing, and really the big difference is the online, offline capability. So if you have a Surface and you have a good Internet connection, you can definitely use our web-based solution. We’re looking at building on the Surface software solution in the future, but it’s just we haven’t seen a lot of adoption of Surface in the industries that we’re operating in right now. But that’s changing slowly. Certainly, if you have a specific need or if you think your auditing need is big enough that we could build up a Surface solution for you quicker, please feel free to contact us. We’d be happy to discuss that in more detail. And the other option of course again depends on your organisation…is we do supply devices for our clients. So if you’re not a 100% Surface and you’re a lot of a mix of different devices, we can always ship out Ipads Android devices to our clients and help them use that. So that’s another option, again, of course, depends on your procurement and your IT regulations or protocols. Kim: Yes. So we have another question here. How important is integration into existing systems, such as SAP or Oracle? Jonathan: It’s a good question and it definitely varies again from organisation to organisation. I’d say the key thing here is always what do you want the end result to be and who is consuming that information. Is it upper management that needs to see this? Is it the facilities that need to see it? And what’s the best medium for getting that to them efficiently? So entering into SAP or Oracle can always be done, it takes a certain amount of work and the benefits are sometimes they are, sometimes they aren’t. So we have what’s called an API and whenever you’re looking to purchase a software from a company, I recommend you see whether or not they have an API. An API is basically a technical lingo for an interface that allows another piece of software to pop to your piece of software. So what it means is SAP can connect to our system, pull data out, push data in. And we’ve done that with a couple of clients. Well, think of [51:11], which is an organisation that certifies laboratories, not laboratories, but laboratories, so labs in hospitals and pharmaceutical industries and other industries. And so they had an internal system that they were using and then we integrated it with that because they had embedded in there a tremendous amount of business knowledge. So it depends. It can be done, but definitely, do a cost analysis to whether or not it’s worth the effort because it’s not a trivial thing to do. And we do allow you to ask for the data from our system, and see that database format and import it to other systems. So that’s another option. But again it’s a case by case basis and we would definitely want to discuss whether or not that makes a business case for you. Kim: Okay. So I have another question here. Is it better to have one large EHSQ system or multiple small systems? Jonathan: It’s a good question as well. I guess in the technical world there is a philosophy that you should be mobile first or desktop first. And what that means is think about your organisation, think about the people involved in your EHS of all these systems and what’s their primary way of working. Are they out in the facility doing things? Do you want to get the information to the plant manager, to the foreman? Do you want to get it to these different people throughout the organisation who are not necessarily sitting at a desk all day or is your system really designed to issue reports to the vice president who’s sitting in his office somewhere? And if you’re more of an operational type organisation where you want to make sure that the people at the facility and the appropriate teams are notified about issues, if you want to get…sorry…get that [53:10] to the people on the top floor, I definitely recommend looking at a mobile solution first and having a series of potentially smaller solutions that work together or don’t work together. But having specific solutions for specific problems, so [53:24] being in others. If you’re really looking at corporate VPs to have access to certain information, then an all-encompassing solution could be more interesting. But of course, it’s a much higher cost to that, much longer runway to installation. But having a system like Intellex or [53:45] or others allows you to do some of those things. But I find the user interface on their systems is a lot more cumbersome. But again it depends on the organisations where you’re looking to accomplish. So I’d say, you really try and think about your organisation and what would be most useful for your staff and then try and find a happy medium that makes as many people happy as possible. Kim: Thank you for that answer, Jonathan. We’re going to take one or two last questions. So here it goes. Is anyone using your software for vehicle fleet audit, flash inspection? Jonathan: Yeah. For vehicle fleet audit, inspections definitely. I think there are a couple of trucking companies. The names escape me at this moment. And then, there was another company that had a lot of vehicles recently that I know they were doing vehicle fleet inspections as part of their general auditing process. They had other divisions that were doing other types of inspections. But yeah, definitely vehicle fleet inspections is a critical one especially if you have lots of cars, trucks moving around. We work with the aviation industry a fair bit, so companies like Air Canada, Porter Airlines who are managing, of course, planes and they’re using it to inspect their planes. So definitely we work with some of those. Kim: Here someone asks if it can be used on a BlackBerry. Jonathan: Yeah, it’s the same answer, what I gave to the Microsoft Surface devices. BlackBerry… I’d say, I think, be honest with you. Not a lot of our clients are using BlackBerry these days anymore. But the government industry for sure is still on BlackBerry, a lot of them. Some BlackBerries, a lot of you install Android apps. So if you can install an Android app on your BlackBerry, then it’ll work. It depends on the BlackBerry model. For the BlackBerries that don’t install Android apps right now, those ones, the same thing with Windows Surface. So you can use it as long as you have an internet connection. But if you’re not going to have an internet connection when you’re doing your audit, then it won’t work. So you would need to have an internet connection basically. And we’re not really looking to develop the software for BlackBerries at this time. But again, if you have a big need or a big organisation and you think it could be a benefit having it built up for you, please do contact us. I think last point here is: someone asked how we got to the 60% time savings on the report writing during the presentation. Maybe I’m not…I don’t have a lot of context like a question, but I’d say, just put it simply, we asked folks “how much time were you spending writing your notes up into your Microsoft Word report they were giving internally or to your clients?” And it varies, of course, depends on the type of audit you’re doing, if it’s a full-blown EHS compliance audit or if it’s just a daily walk around. There’s a big variety. Like it was anywhere from, you know, a couple of days of report writing for a full-blown EHS compliance audit to EPA OSHA, to something much shorter. I was going “okay, well, you’re doing this way before…How much time does it take you to get a report out to your client with our mobile solution now that you’ve been using it?” And we had people going as high as 80%. They said well, I used to spend two days rewriting all my notes and now I just spend two hours editing my notes on the website and then I issue my report. So that’s even more than 60% savings. But then we had some folks, on the smaller audits the time savings were a bit less…of course, they were just doing a safety walk around. You’re not necessarily having to write up a very big complicated report. And so there are time savings that are a little bit less, so the average was around 60%. But again it’s going to vary based on the type of audit you’re doing. But that report writing is a huge time saver for sure. And you can reuse the format over and over again. And there are lots of benefits to having it in a structured database format rather than free form hand, pen and paper, Word and Excel. So that’s what we’ve seen in the industry. But again you know, it varies by industry and it varies by type of audit. Kim: Thank you so much, everyone, for asking these very interesting questions and of course, thank you, Jonathan, for giving us this informative presentation. So if anyone has any last minute points, I would direct you to info@nimonik.com and we’ll be able to answer any questions. So please note that we will send you a copy of the slides and the recording of this presentation later on today. So one last big thank you to everyone and have a great day. And we’ll hopefully hear from you soon.